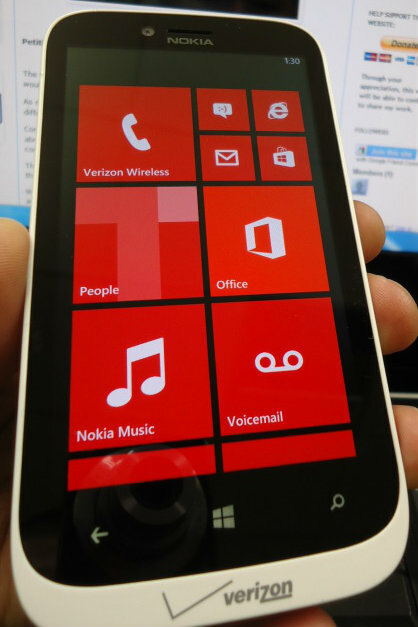 I bought this Verizon Nokia Lumia 822 a couple of days ago, taking the risk of maybe having a paper weight. Phone had a good ESN, but then realize it was also a Global phone. I didn't think it would be factory unlocked. I tested out my Telcel America (TMobile MVNO) Sim card and it worked fine , talk text but no web or mms, and sometimes for some reason texting wouldn't work. I entered the APN's correctly and nothing worked. I was upset to think that I needed a different phone, since I wasn't getting any data when my plan offers web & mms or to sell it to a verizon user and make some profit. I went online searching for any info, suggestions, help, forums and nothing popped up. But today I decided to test it out with a different Sim Card. One of my friends brought me their phone which had water damage on the usb port. While I was fixing his phone, he didnt mind to let me borrow his Simple mobile sim for a bit to test it out on the Nokia Lumia 822. I took the sim and popped it in, turned it on. Access the APN and changed them to Simple's apn's. Wuallaaa, talk text web mms worked !! I was suffering trying to find any suggestions or help from people who came accross this same problem. So problem fixed. Telcel america, didnt quite work with the nokia lumia 822, could be because they dont support Windows phone's, but weird because I had an htc dash 3g windows mobile 6.5 and worked fine, talk text 3g web, no pics though. I guess its time to switch back to simple mobile! All I can say is Both Simple Mobile & T-Mobile support windows phones and work fine with the Nokia Lumia 822 Unlocked. i dont get text on my lumia 822 and i have it on simple mobile. how did you set your phone up? Yes we have encounter several problems . . seems as it causes some sort of issue with reception/service .. when using the phone here in the US with other GSM carriers .. We were told by verizon .. that its only enabled for GSM use in diff countrys and not here in the US .. if used here it would cause a conflict with network. Other people have shipped the phone to other countrys and claim everything works fine.